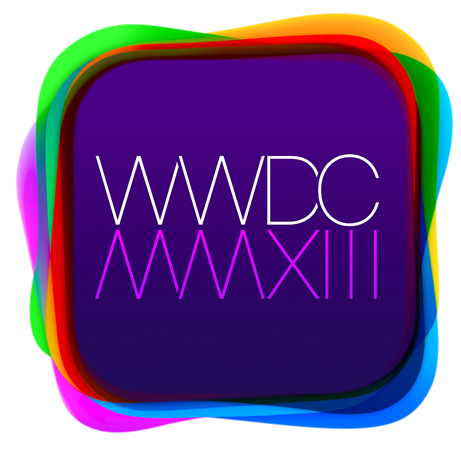 WWDC 2013 Recap in 750 Words. Prior to the keynote the Apple Store went down. This is normal as they use this time to update the store with the software they are planning to release. Cook recapped their WWDC success 24th WWDC Developers from 66 countries 60%+ attendees are first timers. 6 Million developers working with Apple with over a 1.5 million added since WWDC ‘12. 407 Stores in 14 countries. App Store has been around for 5 years and users have downloaded 50 billion apps. 900k iOS Apps 375k have been build just for the iPad and 575 million accounts linked to the app store. They have paid developers $10 billion dollars. Ankidrive brings robotics and AI to the iOS. Mac user base is at 72 million. New iMac is #1 PC in the world. The new MacBook is the #1 notebook. Over 27 million copies of Mountain Lion were sold and 38% of their users are already using it. 9 releases named after a cat release 10 will be called OS X Mavericks. Multiple Displays – TV’s connected to Apple TV can be used as an additional display. Lots of improvements in battery life/memory consumption. Safari now uses far less memory and energy. iCloud Keychain: Your passwords can now be synced to your iCloud account. Safari can suggest a password and use it to all your iCloud devices. You can react to notifications within the notification. The OS X App Store will now automatically update apps for you in the background. A new calendar/iBooks is introduced for the Mac. New line of MacBook Air with all day battery life. Supports the new 802.11ac chip that runs 3x faster than the 802.11n. Airport base stations Airport Extreme Airport Time Capsule will support 802.11ac. 11” starts at $999 and the 13” at $1099. Mac Book Pro has double CPU performance of the last. Also supports Thunderbolt 2/backwards compatible. It will be built in the USA. Introducing iWork for iCloud – Create beautiful documents right in your browser on mac or PC. Again developer preview today and available to all later this year. Claims iOS users buy more of their devices on Black Friday than all of Android combined. Customer Satisfaction is at 97% 73% call themselves “very satisfied”. Says the most popular operating system in the world is iOS and the second is a version of Android released in 2010. New lock screen – slide up to unlock. UI now responds to gyroscopic movement as you turn the phone the angle and lightning of the entire UI adjusts. Control center lets you swipe up to do things such as change airplane mode wi-fi settings etc. App developers can also send “push triggers”. New Tabbed interface to see a 3D scrolling interface. Airdrop will allow you to share photos easier. Camera allows you to swipe the screen to jump from mode to mode: still photos or panoramic. Also has camera filters built-in. iOS in the Car allows you to have integrated iPhone playback control on the screen in your car. App Store updates your apps automatically. iTunes radio introduced and allows you to playback any purchased content to iOS Apple TV or the Mac. Activation Lock prevents thieves from activating your phone. 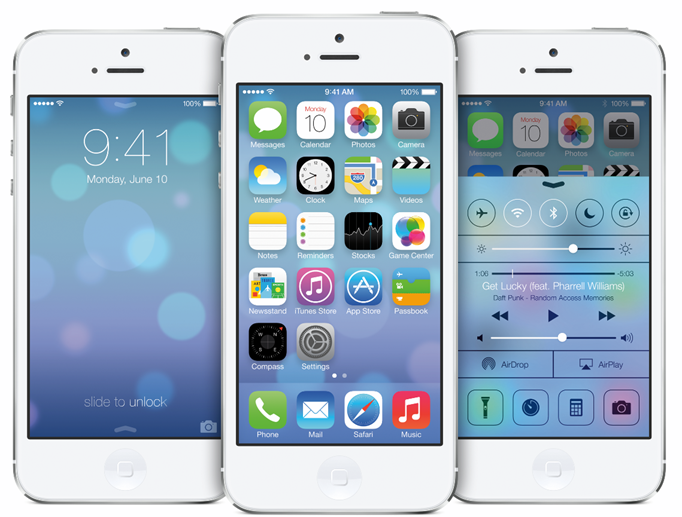 iOS 7 is available for developers today for iPhone iPad coming shortly. Devices support by iOS 7 are iPhone 4 & later iPad 2 & later iPad Mini iPod Touch 5th gen or later. I hope this helps and feel free to leave any comments below on anything that I may have missed.